Gardens, above all other areas of the home, often get neglected. People spend a lot of their attention decorating the living room and the kitchen, and that means the great outdoors is left behind. But it shouldn’t be this way! Your garden is one of your greatest untapped assets, and it can truly help your house feel like a home. So rather than letting it grow into a jungle, why not show it some love? Not only can you add value to your home, you can create an exciting space that will create lots of lifelong memories for you. As a sports area. No matter your age, playing a couple of sports over the summer is a lot of fun. Being able to do it in your garden? That’s even better. It means you won’t have to travel down to a local park or outdoor space. You can enjoy your favorite sports at home! This is also a great idea if you have children, too. Keeping the kids entertained over summer is tough, but now it’s easy! 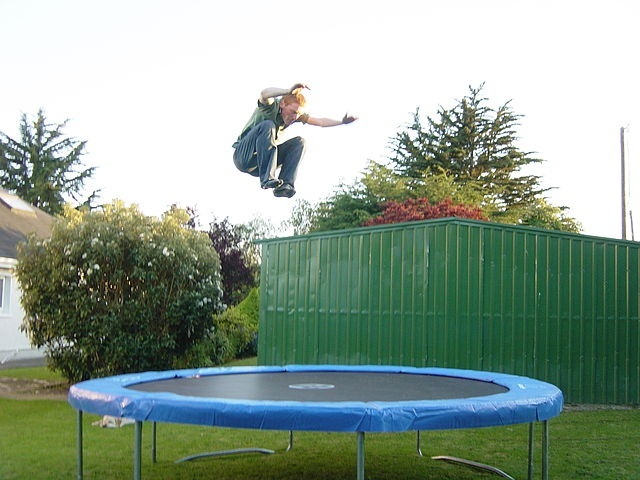 For starters, I’d recommend a trampoline, to use it as a focal point for your garden. You can get small ones and large ones, and they come with enclosures for added safety! Next, I’d look at purchasing a net, so your kids can have a kickabout. You can root these to the ground so they won’t be able to move, which should keep the whole thing sturdy. Other sports ideas include swingball, tennis, and why not make a mini-golf course? All you need is a well-trimmed lawn and a hole in the ground! As a social area. When the sun is beating down outside, it doesn’t feel right to be stuck indoors. You may be forced to though, due to your lack of seating areas outside. So, transform your garden into the perfect social space to give yourself a view under the stars. Most garden furniture is perfect for this scenario, from benches to individual chairs. Consider adding a canopy too, to protect yourselves from any drizzle. I’d also install a light that attracts all those flying creepy crawlies, so they aren’t buzzing about your head. As a gardening area. Growing your own vegetables can save you a lot of money on your big weekly shop. It’s also a way to grow delicious, healthy food from the comfort of your home. Anyone can begin gardening, too. All you need is a plant pot, some compost and some seeds. If you want to turn your whole garden into a vegetable plant, you have to be sure you can water the entire thing. Also bear in mind you may have to walk over certain seeds to get to the other end of your garden. So plan accordingly! Consider installing a sprinkler system to get water to a wide space, fast. As a storage area. If your house is overflowing, turn to the garden to get yourself a large, useful storage area. Obviously you won’t be dumping your stuff on the ground, but have a look at some large sheds and storage boxes. Some sheds can even be used as a social space, complete with chairs and a radiator. If you just want storage though, any kind of shed will do, but I’d recommend metal because it won’t rot as easily as wood.